Christchurch campervan rentals worth considering! 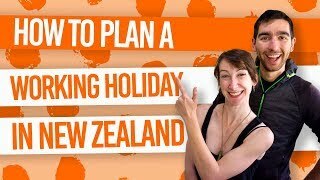 Want to explore the South Island or travel the “quiet” route around New Zealand from the South Island to the North Island? 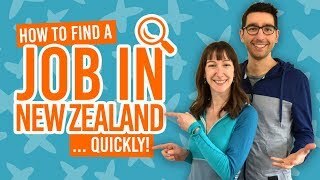 Then hiring a campervan in Christchurch is the way to do it! 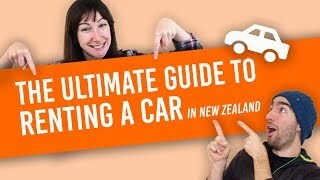 What’s more, there are so many campervan and motorhome rental companies in Christchurch that you’ll definitely find the right vehicle for your New Zealand road trip. 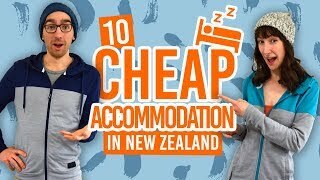 However, because the offering of Christchurch rental companies is so huge, picking a campervan or motorhome rental company can be a little overwhelming. That’s why we’ve put together this list of the best campervan rental companies in Christchurch! The comparison below shows some of the market leaders, as well as some Christchurch campervan rental companies that you might not have heard of. We compare the inclusions, such as insurance, amenities and pick-up/drop-off locations as these will be hugely important factors in choosing a Christchurch campervan rental company. Prices are not compared, however, as rates fluctuate with the seasons. For more options, check out the Christchurch campervan rentals on Rentalcars.com. Location: In Christchurch, it’s either going to be near the Christchurch Airport or in one of the Christchurch suburbs. Figure out how you are going to get to these locations. Are they convenient for you? Are there any extra fees you will need to pay for the “premium” location (likely if you are picking up at an airport depot)? Also, consider where you are ending your trip and whether the drop-off locations are convenient for you. Vehicles offered: Most campervan rental companies in Christchurch will maintain even their oldest cars to the highest standards, however, a more modern vehicle is less likely to give you any problems, so keep vehicle age in mind. Of course, the size of the campervan will be incredibly important for the level of comfort you want to have. What’s more, decide whether a self-contained campervan is important to you or not. 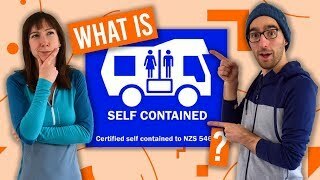 In order to freedom camp in New Zealand, you need a vehicle that is certified self-contained. For more information on the different types of campervans in New Zealand, head on over to this page. Planning to travel like two peas in a pod? The Pod Campervan Rentals is a Christchurch-based rental company offering super affordable self-contained and non-self-contained vans (which is the difference between camping for free or using campsites). What we love about The Pod is that they don’t charge one-way fees, meaning you can pick up the campervan in Christchurch and drop it off in Auckland at no extra charge. Choose The Pod if you want to travel around New Zealand or the South Island on a budget! Drop-off Location: Christchurch, Queenstown and Auckland. Nissan Vanette or Mazda Bongos campervan sleeping up to 2 people – either self-contained or non-self-contained. Travel New Zealand with everything you need in a compact campervan with Campa South Rentals. Although there are branches across the country, Campa South mainly operates from Christchurch, giving travellers the widest range of vehicles to choose from if picking up from Christchurch. The vans do not have any branding, so are safer from thieves (although that’s not a huge issue in New Zealand, it can happen). High-roof van (Toyota HiAce) which is certified self-contained and sleeps up to four people and Nissan Vanette which sleeps up to 2 people. Free standard insurance. A 25+-year-old driver has NZ$750 excess and NZ$750 bond to pay. 21-25-year-old drivers have NZ$1500 excess with NZ$1500 bond to pay. 18-20-year-old drivers have NZ$2000 excess and $2500 bond to pay. Euro Campers really has a bit of everything, from budget campervans, campercars and motorhomes to luxurious motorhome models with all the fixings. They also include two other campervan rental brands in New Zealand, Budgy and Heron. Note that 18-year-old drivers can only hire the campercar and high top van options from Euro Campervans. You need to be over 21 to drive the motorhome-style vans. Find out more about rental age restrictions in Age Restrictions When Renting a Vehicle in New Zealand. Drop-off Location: Christchurch and Auckland. Standard insurance is included with NZ$250 excess of over 21-year-old drivers or NZ$2500 for 18-21-year- old drivers. Looking for a smaller campervan rental company in Christchurch offering a more personal service? Check out Piwiwiwi Campervans. There’s no huge branding on the vans, making it less likely a target for thieves. Plus, storage for surfboards and bike racks are available. However, Piwiwiwi is not open year-round, but they are typically open September to the end of May. Courtesy transfer available for Christchurch Airport and city centre. If you’re looking for a larger campervan, such as a motorhome, at a more affordable price, then consider Affordable Motor Home Rentals. Their fleet of older vehicles makes them cheaper than other motorhome rental companies in Christchurch. 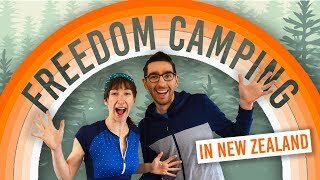 They also offer smaller campercars that are certified self-contained, meaning you can freedom camp even in a smaller vehicle. Self-contained campercars sleeping up to 2 people (Toyota Estima & Alphard) and self-contained motorhome options by Ford sleeping either 4 or 6 people. Travelling New Zealand in a campervan doesn’t mean you have to “rough it”, and that’s certainly the case with Wilderness Campervans! Choose from a fleet of luxury campervans that have been specially designed with the comfort of all types of travellers in mind. Added extras like the one-way fee, free New Zealand SIM Card and guidebooks are an added bonus. Courtesy transfers to and from the airport/airport depot/airport hotel available. 2-berth, 4-berth and 5-berth motorhomes. Vehicle age range: 0 to 4 years old. Standard insurance is included with NZ$7500 excess and NZ$7500 bond to pay. There is the option to upgrade for less or zero excess on insurance and only NZ$500 of bond to pay at NZ$29-$69 per day. Looking for that premium campervan or motorhome experience at a slightly more affordable price? Mighty Campervans are from the same company as the high-end Britz and Maui brands, meaning that Mighty is the brand that takes the “older” vehicles that were used as Britz vans the year before. Considering Maui and Britz offer brand new vehicles every year, renting a Mighty campervan doesn’t exactly mean you’ll get an “old” van! You’ll still get a modern and reliable campervan, just not at the ultra-premium price. Vehicle age range: 4 to 9 years old.